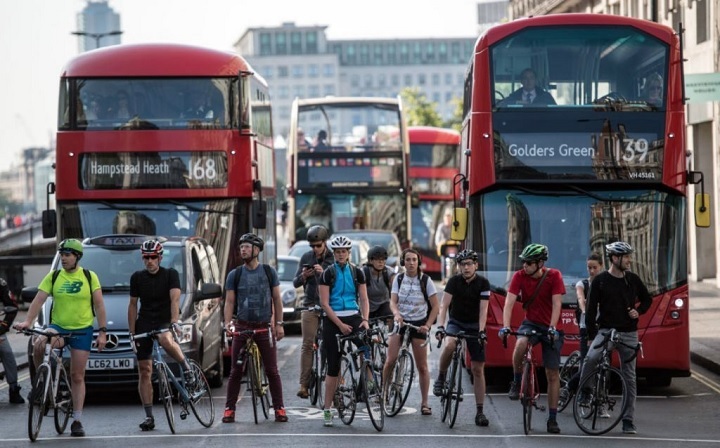 An online retailer of cycling clothing, accessories and replacement parts has published a guide to help improve the safety of cyclists. The guide, produced by Bikeparts.co.uk, covers a broad range of subjects including basic safety measures and choosing the proper safety equipment. It also outlines cycling laws including riding on the pavement, reflector requirements, riding while intoxicated and red lights/advanced stop lines. The authors say the guide hasn’t been written to scare cyclists, but it says “scary things can happen if you choose to ignore safety. For example, some people think it looks ‘cool’ to ride a bicycle without a helmet – but you’ll be a lot less ‘cool’ as a comatose vegetable with a traumatic brain injury”. The guide says 80% of cycling collisions occur in broad daylight, with the most dangerous hours being 8.00-900am and 3.00-6.00pm. The guide says this “goes against the grain of ‘common wisdom’ that bicycle accidents occur because drivers cannot see you, while adding that “cycling accidents that occur at night are more likely to be fatal”. The most common cause of accidents among child cyclists are described as “children simply playing, performing bicycle stunts, or riding too fast”. However, for adults, the guide says “accidents are more likely to involve collisions with motor vehicles. The most common contributing factor to bicycle collision with motor vehicles is driver / rider error”. The guide says: “Cycling is an amazing alternative to motor vehicle transportation. It is mainly an aerobic activity which promotes cardiovascular fitness, weight loss, and you’ll likely save a ton of money as well. Was the accompanying photograph chosen to give examples of unsafe cycling practices? One appears to be using a hand-held electronic device and another has full over the ear headphones on. Perhaps not everyone thinks those behaviours are unsafe? The guide is American and contains some generally useful information but it also contains some which is a bit dubious or not relevant here in the UK.